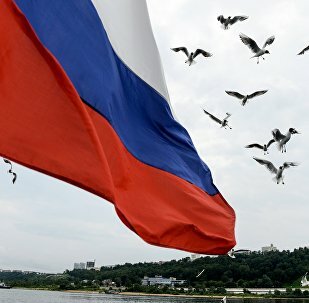 MOSCOW (Sputnik) – The Russian Center for Reconciliation in Syria said Tuesday that over the past 24 hours, it registered two ceasefire breaches in the province of Latakia within Syria’s Idlib de-escalation zone. MOSCOW (Sputnik) - Russian Deputy Prime Minister Yury Borisov will visit Baghdad on 24-25 April, meetings are scheduled with Iraqi Prime Minister Adil Abdul-Mahdi and President Barham Salih, Borisov's office said. 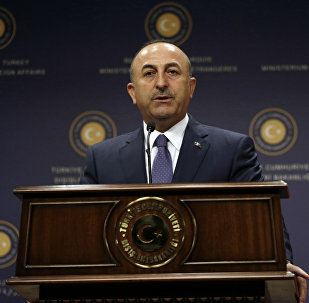 Turkish Foreign Minister Mevlut Cavusoglu has reportedly said that if the US won't supply Turkey with F-35 fighter jets, Ankara would satisfy its need for them in "another place". A resolution calling to name a settlement after the US president is expected to be submitted to the Israeli government after the Passover. 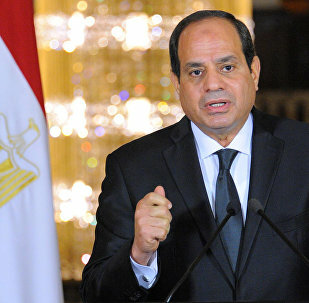 CAIRO (Sputnik) — Voters in a national referendum in Egypt supported by a majority vote the amendments to the country's constitution, which included the extension of incumbent President Abdel Fattah Sisi's presidential term, National Elections Commission chairman Lashin Ibrahim said Tuesday. The White House announced its decision on Monday to end sanctions waivers for Iranian oil imports, stating that its decision was intended to "bring Iran's oil exports to zero". According to the ministry, as cited by the Saudi Press Agency, the individuals were charged with forming terrorist cells, adopting terrorist ideology, attacking security officers, using explosives and incitement to sectarian strife. The Trump administration is expected to slap new sanctions on the Islamic Republic around the time of the first anniversary of the US withdrawal from the 2015 nuclear deal. On Monday the White House announced the decision not to reissue waivers on Iranian oil after they expire in May. 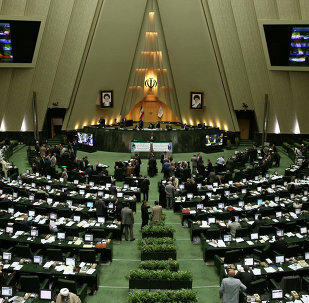 Washington said the decision "is intended to bring Iran's oil exports to zero", ruining a vital source of revenue for Tehran. 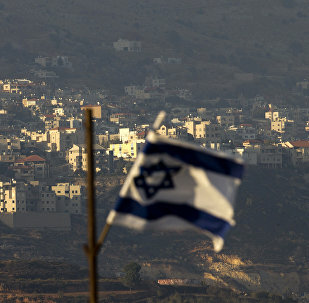 The Israeli elections on 9 April resulted in the victory of Benjamin Netanyahu, who was officially appointed as the country's prime minister on 17 April. Speaking to Sputnik, Israeli publicist Avigdor Eskin shared his opinion on what to expect from the Netanyahu cabinet in the near future. "The US gives billions of dollars in military aid to Israel. It should deal with the Middle East on a level-playing-field basis," Bernie Sanders told CNN. 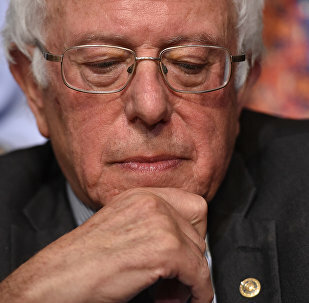 WASHINGTON (Sputnik) - US Senator Bernie Sanders in a letter to fellow lawmakers said that it is critical for Congress to reaffirm its power to declare war and overturn President Donald Trump’s veto of a resolution to end America’s involvement in the conflict in Yemen. Japan expects a limited impact from a US decision to force buyers of Iranian crude oil to stop purchases from next month, trade and industry minister Hiroshige Seko said as cited by Reuters. MOSCOW (Sputnik) - Libyan National Army (LNA) head Field Marshal Khalifa Haftar announced a start of the second stage of the offensive on Tripoli, local media reported, citing LNA spokesman Ahmed Mismari. MOSCOW (Sputnik) - Militants attacked one of the settlements in Syria's Idlib province over the past 24 hours, the Russian Defence ministry said in a statement on Monday. A recent measles outbreak that debilitated an El Al flight attendant has triggered Israel’s Ministry of Health to release a directive suggesting the airline inoculate their staff in an effort to curb the spread of the viral infection. Israeli supermodel Bar Refaeli was ordered by an Israeli district court judge Monday to pay taxes on $4.5 million she hid from the country's tax authorities. In Monday's statement, the White House announced that US President Donald Trump had decided not to reissue waivers to any country currently importing Iranian oil after they expire on May 2. The suspects were apprehended during a preemptive security operation, a spokesperson for the Saudi state security agency said, as cited by the Gulf News newspaper.